In late February, Pope Francis will meet with the heads of bishops’ conferences from around the world to address the clergy sexual abuse crisis which began about 50 years ago and continues to afflict the Church to this day. In a previously published article in Crisis Magazine, I pointed out the futility of this three or four day meeting in Rome next month. I would like to explain here in more detail why their meeting will be futile. This meeting will be futile primarily because of something the organizers and other Catholic leaders refuse to acknowledge: the root cause of clergy sexual abuse is homosexuality among bishops and clergy. Due to this reluctance, the suggested topicsfocus instead on various types of Church “process” such as: stewardship, administration repair; educational programs and accountability. All the “solutions” are designed for damage control after the dirty deeds are done—despite the fact that the pope admitted that the solution to clerical sexual abuse could not be reduced to “organizational” problems. However, there is one topic that the pope and bishops are not addressing. If they did, it would make the short February meeting worthwhile: seminary and religious community entrance requirements. 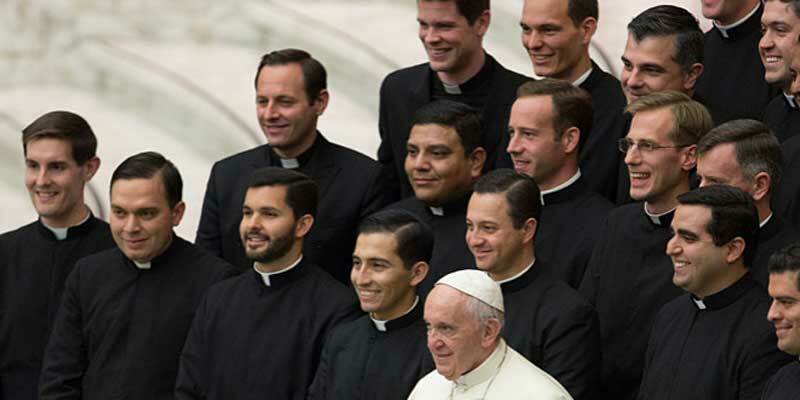 Whether it is sexual abuse of minors between the ages of 13 and 17 or sexual relations between clergy and consenting or non-consenting adults, the problem is the flow of young men into the priesthood and religious life who later become victims of bishops and other clergy. This early abuse by those in authority increases the probability that when the first victims become priests and religious themselves, they will in turn sexually abuse other boys and young men under their care. Particularly vulnerable young men should not be placed in an environment where abuse may take place. This process of abuse must be stopped at the very beginning.